At night, when our world is quiet and peaceful is when I tend to think about things a little more. Whether it’s how our day went or our loved ones far away. The other night I was doing as such. I was remembering my childhood; my brothers and sisters and our fun but noisy house, riding our bicycles to the park. A few days later I ran across this cute little stencil at the store of a little bird sitting on a tree. Playing so well into my memories, I decided to buy the stencil to make a card. 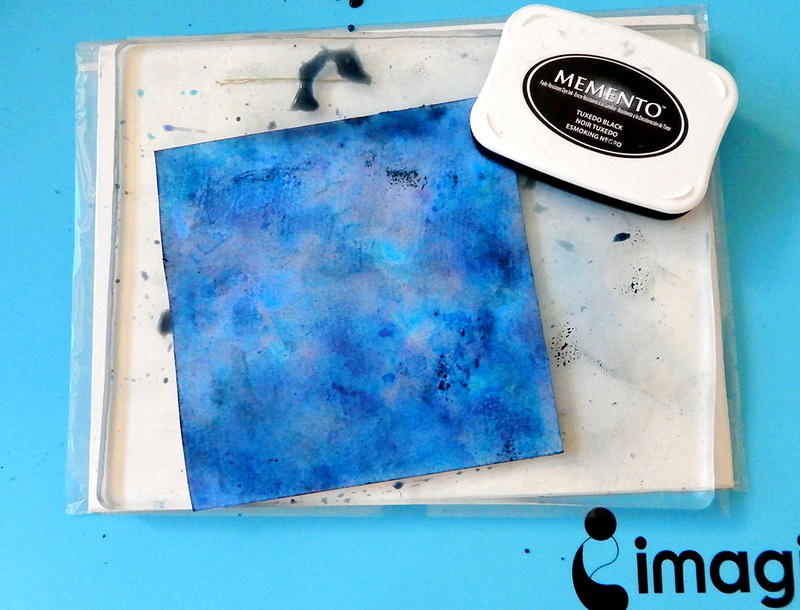 I used Memento dye inks with water on a Gelli plate to get a nice, bright and quick background. Then I gave the card a slight nighttime hazy moody look by blending in pigment inks, and lastly added the stenciled image and sentiment. 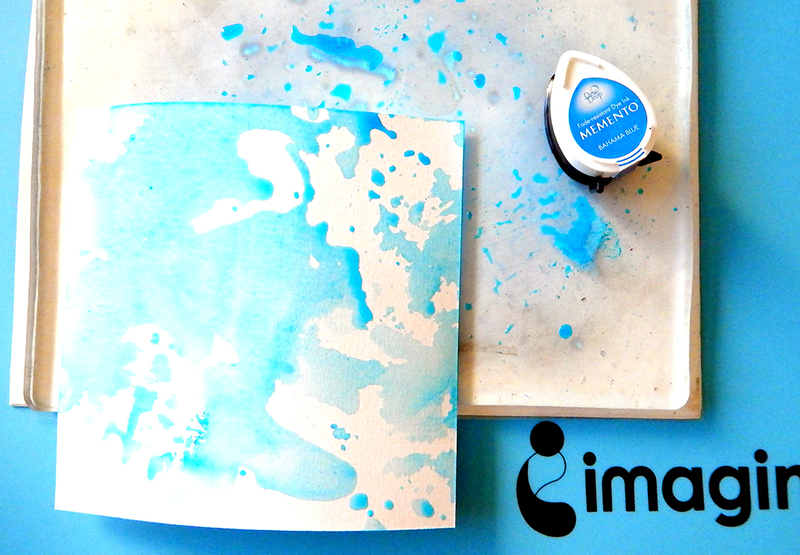 Rub Memento Bahama Blue ink on the Gelli plate and spray with water. Smoosh the watercolor paper on the plate. Partially clean the plate with paper towel. 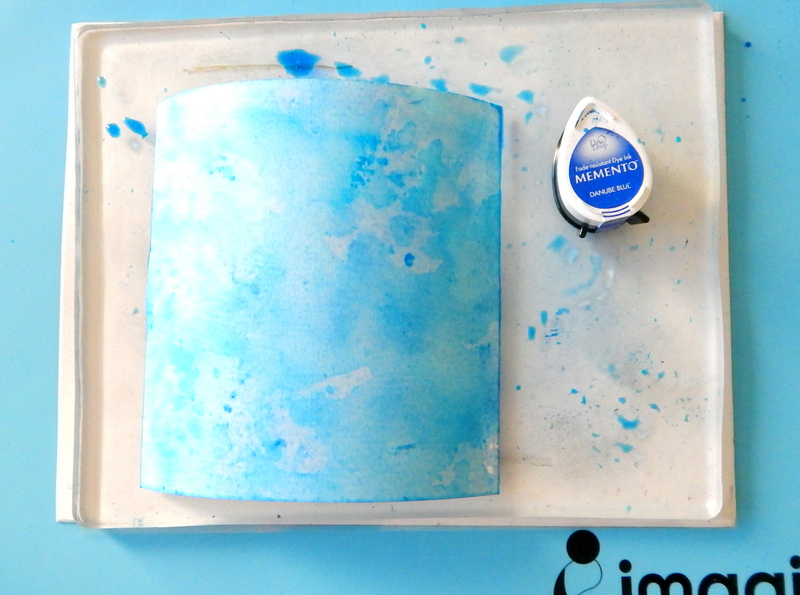 Rub Memento Danube Blue ink on the Gelli plate, spray water and smoosh the watercolor paper on the plate. Partially clean the plate with paper towel. Rub Memento Grape Jelly ink on the Gelli plate, spray water and smoosh the watercolor paper on the plate. Partially clean the plate with paper towel. Rub Memento Tuxedo Black ink on the Gelli plate, spray water and smoosh the watercolor paper on the plate. Partially clean the plate with paper towel. Dry paper. 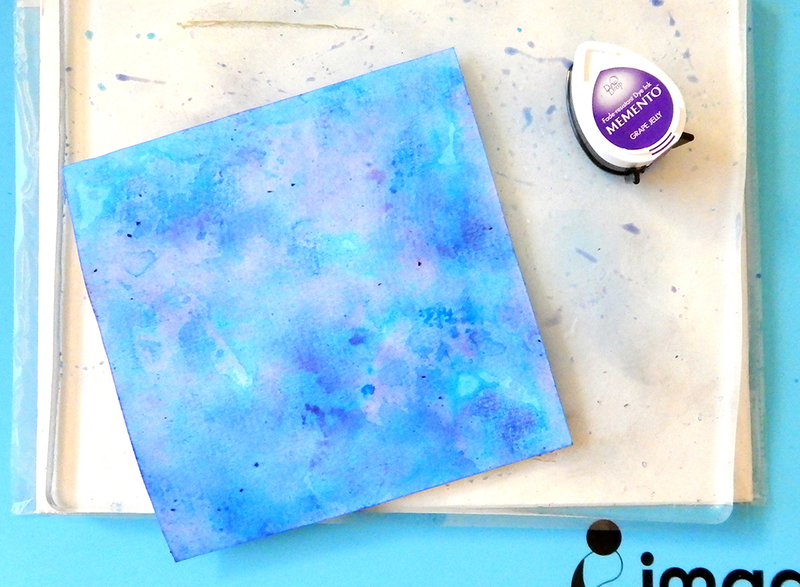 Next blend in the pigment inks to give that nighttime mood. 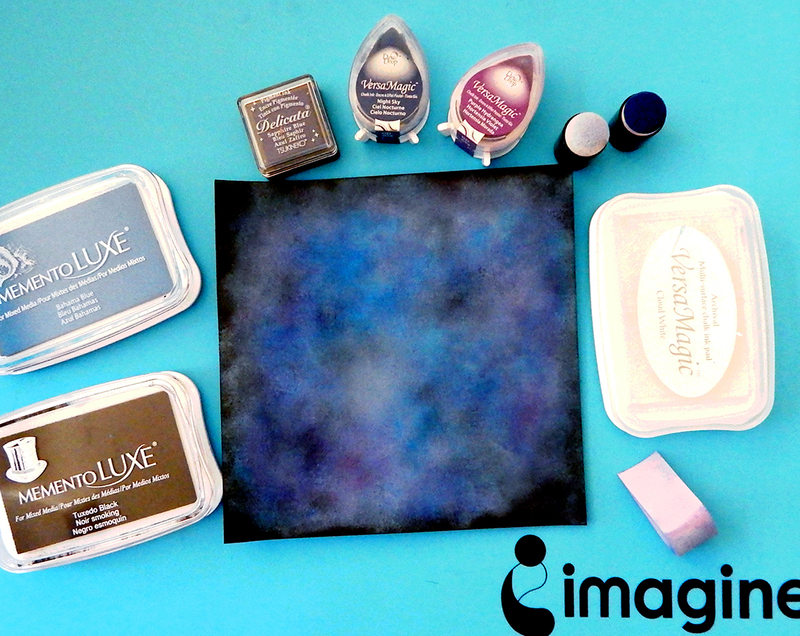 Blend ink with InkBlushers and Sponge Daubers going from lightest to darkest. Blend in the Memento Luxe Bahama Blue, VersaMagic Night Sky, Purple Hydrangea and White Cloud, Delicata Sapphire Blue and on the edges blend Memento Luxe Tuxedo Black. 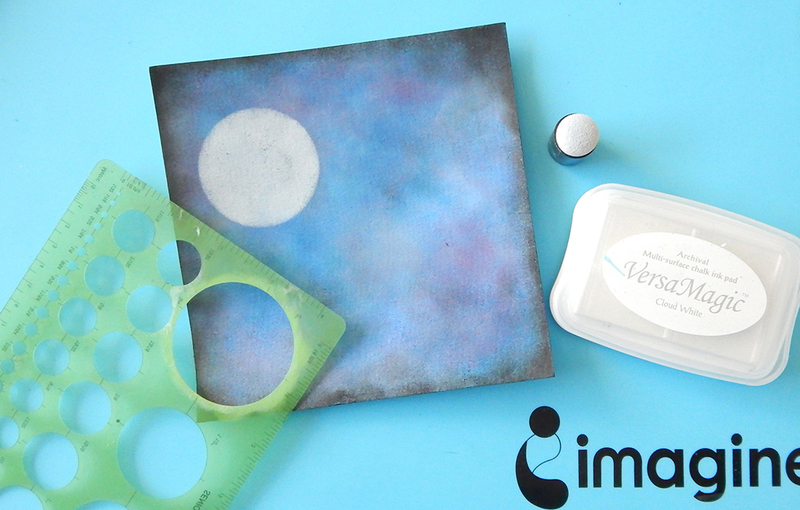 Stencil a moon with a Sponge Dauber and VersaMagic White Cloud. Lightly add a ring around the moon to give it a little reflective glow. 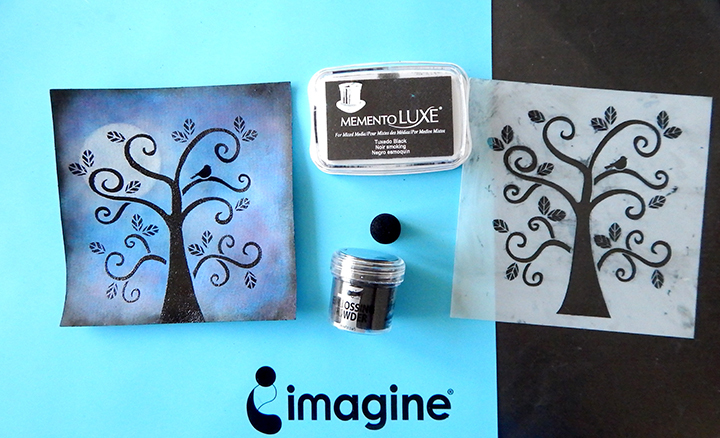 Stencil the tree image with Memento Luxe Tuxedo Black, emboss with black embossing powder and finally stamp a sentiment. 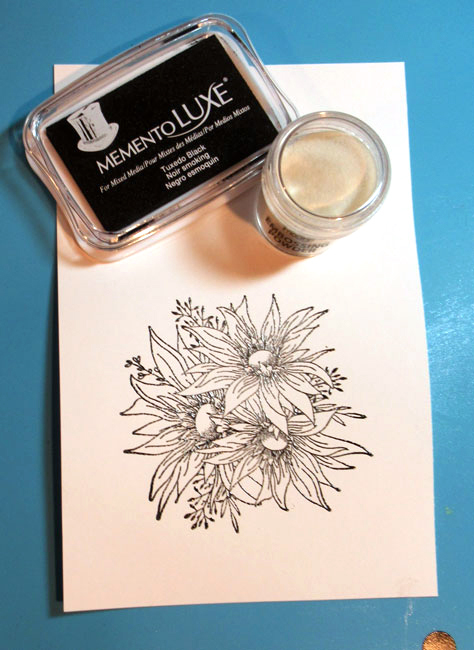 Memento Luxe is a juicy ink that provides great results when stamping. 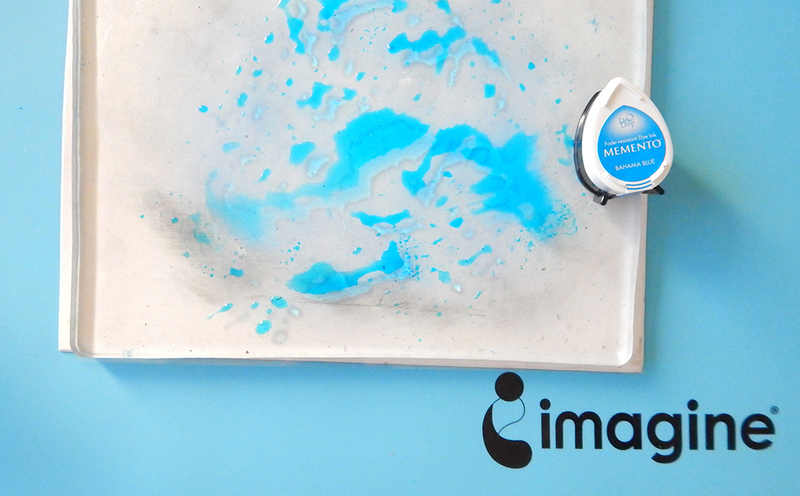 It’s an amazing ink line that is perfect for embossing. I wanted a rich outline for my flowers and found this stamp line to be amazing. Stamp image with Memento Luxe in Tuxedo Black and emboss with Clear embossing powder. 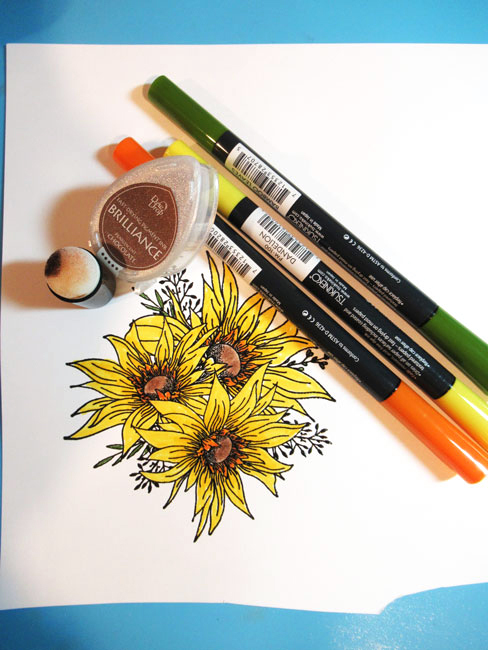 Color flowers with yellow and orange markers, then color leaves with green marker. 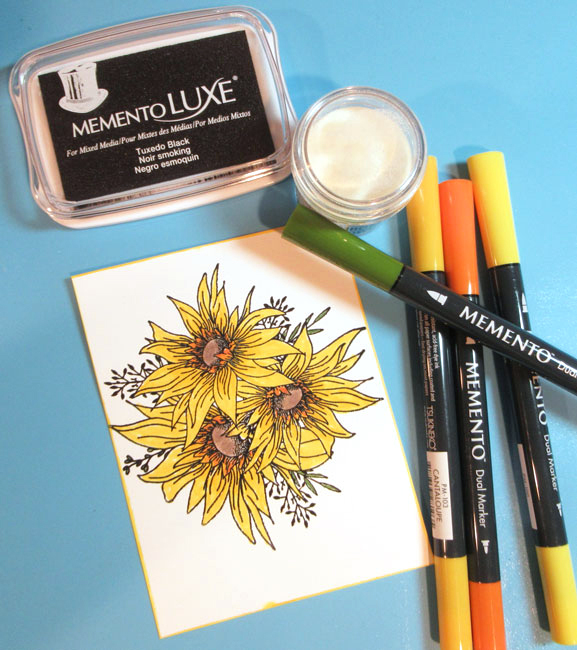 Using a sponge dauber, add brown ink to the flower centers. Cut panel to fit card. 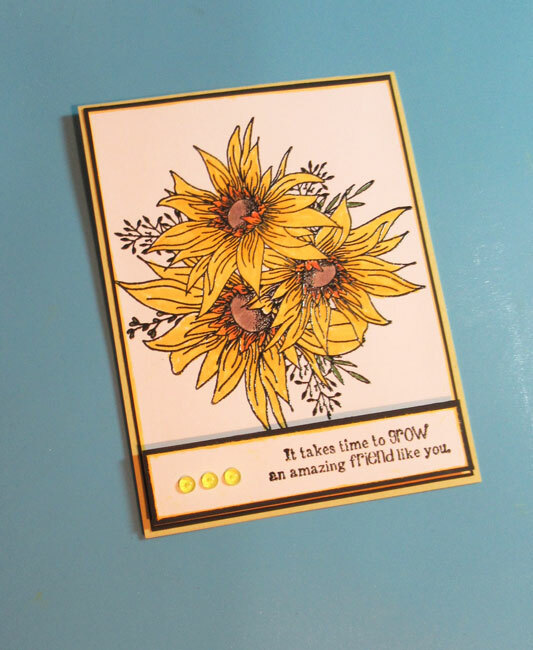 Ink edges of panel with Brilliance Sunflower Yellow, mat with black cardstock. Stamp phrase with Tuxedo Black and emboss with Clear embossing powder. 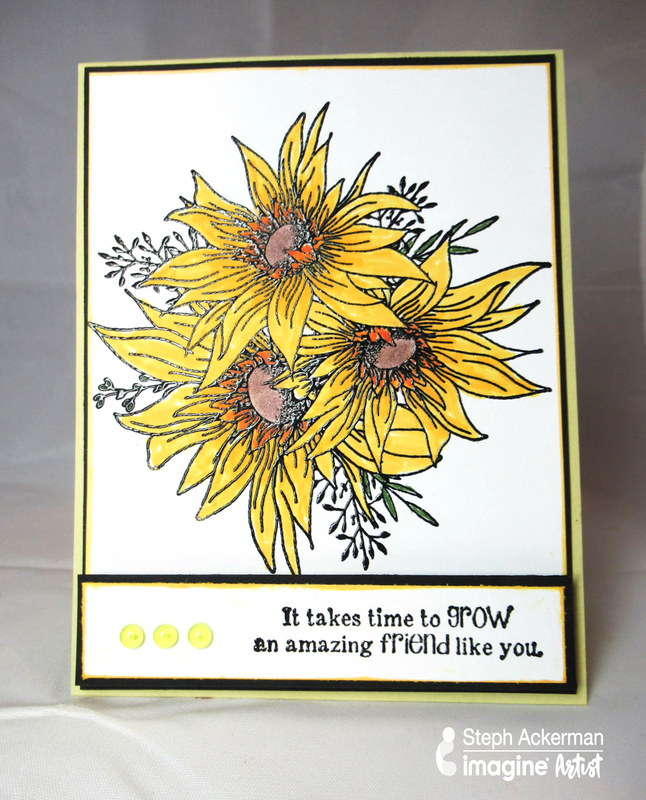 Ink edges with Sunflower Yellow; mat with black cardstock. 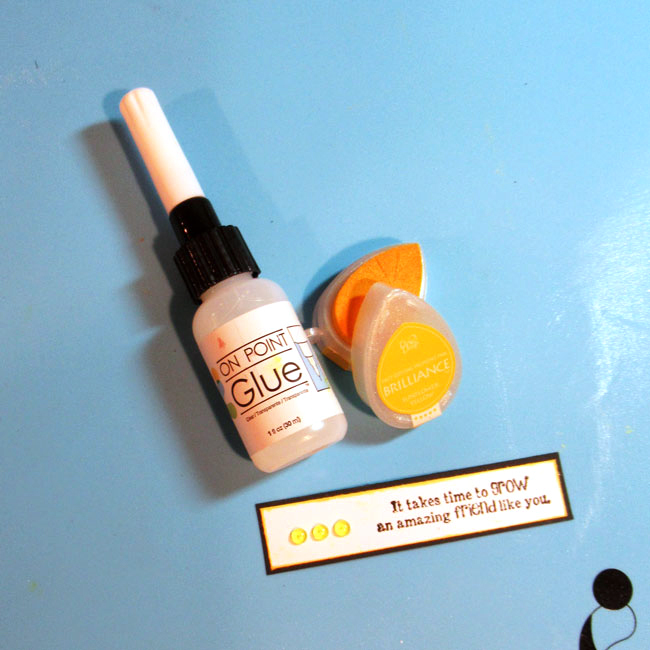 Using On Point Glue, add embellishments. Create card from yellow cardstock. Add panel to card. 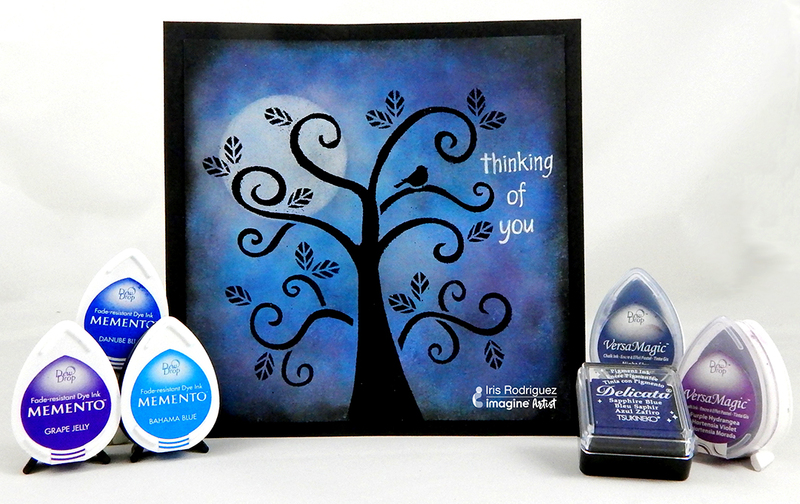 Add phrase to card with foam adhesives for dimension. This entry was posted in 2018 ARTIST IN RESIDENCE, Beginner, Cards, DIFFICULTY LEVEL, Iris Rodriguez, PROJECTS, Steph Ackerman and tagged cardmaking, Cards, Delicata, DIY Inspiration, Embossing Powder, Memento Luxe, On Point Glue, Paper Crafting. Bookmark the permalink. Beautiful background and an amazing card! Love the inks!